Should We be Thinking About This in the United States? | Passing Through . . . . The announcement of the NHS care.data scheme has attracted criticism from scientists, doctors and interest groups. With good reason, argues Edward Hockings. More than just a matter of privacy, by opting out of care.data we are exercising our right to democracy. We have until March to opt out of the care.data initiative. The ‘theoretical risk’ that we might be re-identified from our personal data once it is made available to third parties is a compelling reason to opt-out. However, this is not the only reason. Care.data is part of a major legislative programme that includes the Clinical Research Practice Datalink (CRPD) and the 100,000 genome project – through which whole-sequenced genomes will be put to commercial use. These major infrastructural developments have been accompanied by radical changes to privacy law that have resulted in a cultural shift in the governance of information. In 2007, further written evidence to the Select Committee on Health, House of Lords, by the Association of the British Pharmaceutical Industry, stated that “there is an international race for benefit and competitive advantage in research where the UK could have a significant Unique Selling Point (USP).” By 2008, a major legislative programme to secure this competitive advantage was well underway. 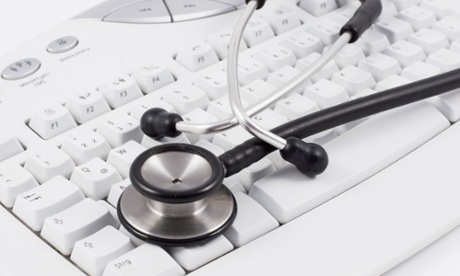 As part of the NHS National IT Programme, electronic medical records were rolled-out across England and Wales on an opt-out basis. Although parts of the NHS National IT Programme were discontinued, the ambition – to quote from the ‘Plan for Growth’ 2012 – of “using e-health record data to create a unique position for the UK in health research” remained unchanged. The Clinical Practice Research Datalink (CPRD), which provides data services to the research and life sciences communities, was established in 2008. And in the summer of 2012, and in response to a Freedom of Information request, the Department of Health confirmed that they are to establish a “central repository for storing genomic and genetic data and relevant phenotypic data from patients”. Further correspondence led to a clear statement of the government’s position with respect to the uses of the whole-sequenced genomes held on the national repository: “we plan to capitalise on the UK’s strengths in genomics. The UK is well placed to play a world-leading role in this next phase of the biomedical revolution.” One of the “purposes of the initiative is to support the growth of UK genomics and bioinformatics companies.” Later that year, the government announced that the genomes of 100,000 people were to be sequenced over the course of three to five years. ‘Genomics England’, launched by the Department of Health, in 2013, was to oversee the sequencing of the personal genomes and the creation of a dataset of “whole genome sequences, matched with clinical data” – “at a scale unique in the world.”In addition to these developments, radical changes to information governance, such as Section 251 of the NHS Social Care Act (2006), were introduced. Overriding the common law of confidentiality and Article 8 of the Human Rights Act (2008), Section 251 makes it possible to access people’s medical records without their consent. An equally significant development was the introduction of the Health & Social Care Act 2012, through which Patient-identifiable data can be made available, via the NHS Commissioning Board and the HSCIC. So we now have care.data, and the decision we face about whether or not to opt-out. Focusing initially on rare inherited diseases, the 100,000 genome project began the first phase of sequencing in Dec, 2013. The role of the recently established ‘Ethics Advisory Group’ is to provide the ethical guidance, and it acknowledges that “irreversible de-identification of whole genome sequence cannot be fully guaranteed for technical reasons”. In respect of limiting the kind of research conducted on the repository data, the Ethics Advisory Group claims that “it would be impractical for it to be possible for patients to place restrictions on the research undertaken on the data, for example by limiting it to ‘non-commercial research.’” As the current legal framework provides no determinate guidance regarding what are acceptable uses of whole-sequenced genomes, the ball really is in the Ethics Advisory Group’s court. Following a request from the Secretary of State for Health, a major independent review of information sharing was launched, called Caldicott2. Through democratic consultation with all relevant stakeholders, Caldicott2 might have provided a timely, non-partisan assessment of the information governance regime. However, prior to the publication of the Caldicott2 recommendations in March 2013, the government’s ‘Strategy for UK life sciences 2012’ had already made it clear that it would move to “a more progressive regulatory environment.” Caldicott2 was therefore never going to be able to meet its aspirations to give the public a stake in deciding whether or not information would be shared. As the Caldicott2 report claims that “genetic information should not be treated any differently from other forms of information”, can we expect a laissez-faire approach to whole sequenced genomes? By choosing to opt out we are making an appeal to our right to democracy. We will soon face a scenario in which medical records will be linked to the whole-sequenced genomes of the population of England and Wales. The sheer scale only augments the associated risks, and when commercialisation appears to be the driving force, we find ourselves in uncharted territory. Therefore, it is more than just opting-out, but rather, taking a stand on what kind of society we want in the future. Edward Hockings is a PhD student in bioethics at the University of the West of Scotland.